The most disturbing moment in the new documentary, “David Lynch: The Art Life” (2016), occurs as the film's subject relates a story from his youth. Lynch reflects back on the day when his neighbor Mr. Smith came by and... “I can't tell the story,” says a shaken Lynch. And, indeed, he does not. The aborted anecdote feels like a quintessentially Lynchian moment not just for its enigmatic quality, but because it arrives amidst a series of tales of a fairly serene and utterly “normal” youth: a picket-fence suburban home, a loving family, and parents who believed in hard work and the American Dream. Is this frightening non-story of Mr. Smith the origin of the Lynchian vision of the horrors lurking in every nice and normal small American town? Probably not. And Lynch isn't foolish enough to confirm or even entertain such a simple-minded take. 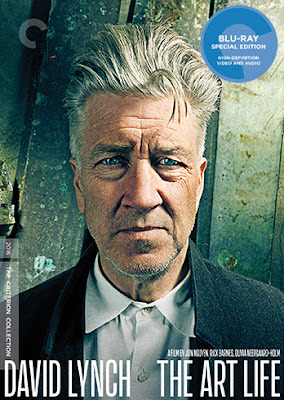 Indeed, as the documentary's title (suggested by Lynch) indicates, art is nothing less than life itself, a life-long project, evolving every day with each scrape of the brush or smear of plaster or turn of the saw or snip of celluloid, and Lynch has been passionately living the art life for more than half a century. Lynch does actually offer one clear-cut origin tale, the moment when he discovered his true calling. The revelation arrives during what he describes as a “dark” time in high school in Virginia, when he learned that his friend's father was an artist (Lynch's mentor-to-be Bushnell Keeler). 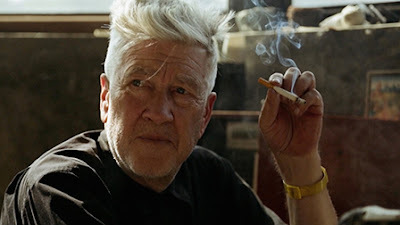 The idea that a real, living person could actually be a full-time artist struck Lynch like a bolt from the blue and from that point on, he had little doubt what he wanted his future career to be. Whether the non-art aspects of life (wife, children, rent) would allow him to do so is another story. Directors Jon Nguyen, Rick Barnes, and Olivia Neergaard-Holm enjoyed surprising access to an artist both famous and celebrated for his reserve. Many Lynch fans thrill to the now-legendary interview in which Lynch opined, “Eraserhead is my most spiritual film” and replied to the interviewer's request to “Elaborate on that” with a blunt “No.” Lynch doesn't actually analyze his art in this documentary, consisting exclusively of interviews conducted with Lynch over a three-year period, but he is surprisingly candid about his life story, from his peripatetic youth to his disturbing college-age experiences in Philadelphia (“thick, thick fear... sickness, corruption”) to the major boost he achieved upon admission to the American Film Institute in Los Angeles, where he would spend several years filming his breakthrough feature debut, “Eraserhead” (1977). Lynch's audio interviews are edited with close-ups of his artwork throughout the decades as well as numerous shots of him just relaxing and smoking, sometimes with rows of empty glass Coke bottles lined up next to his work station. There's nothing revelatory here, no a-ha moment that “explains” Lynch's work, but who would want such a terrible thing anyway? Instead, the directors have presented a portrait of man who works every day, takes his share of smoke breaks, and just keeps on living the art life, and that's about it. The film is presented in its original 1.78:1 aspect ratio. The documentary was shot over several years on both a 5D digital camera and an iPhone5, so the image quality varies throughout, but looks sharp. The DTS-HD Master Audio 5.1 surround track is crisp and efficient. There's not too much to say about it, really. Optional English subtitles support the English audio. Surprisingly, the only notable supplementary feature is a new (2017, 16 min.) interview with co-director Jon Nguyen who talks about the genesis of the project, acknowledging that it was, for the most part, made to meet Lynch's approval. The film also uses three of Lynch's songs. A Theatrical Trailer (2 min.) is the only other extra. The slim fold-out booklet features an essay by film critic Dennis Lim as well as reproductions of some of Lynch's art. “David Lynch: The Art Life” is certainly essential viewing for Lynch devotees. It's an unusual release for Criterion, as it feels a bit more like one of the spectacular supplemental features the studio would offer along with another film than a stand-alone release with only one short extra. But it's certainly compelling.